When the stock market swoons, I like to watch insider buying to see where the smart money is finding value. Here are three stocks with interesting insider activity that also showed good relative strength in Monday’s weak market. Aqua America Inc. (WTR) is a holding company for regulated utilities providing water or wastewater services in twelve states across the US. The second largest water utility company in the U.S. has increased its dividend for 19 consecutive years, and currently yields 2.5%. On Oct. 23, Aqua America announced an agreement to buy Pittsburg-based natural gas utility People’s Energy. The $4.275 billion transaction, which includes WTR absorbing about $1.3 billion of debt, caused a sharp sell-off in WTR shares. WTR’s close of $33.50 is down about 12% from its pre-announcement close. Apparently WTR insiders view the selloff as a buying opportunity. Five Aqua America officers and directors disclosed on Nov. 16 the purchase of $1.46 million shares of WTR stock. It was the first significant insider buying at Aqua America since 2010. WTR closed up $0.62 at $33.69, showing good relative strength in a tough market. A recent Seeking Alpha article on Energy Transfer L.P. (ET) was entitled: 5 Reasons This Fast-Growing, 7.9% Yielding Stock Is A Screaming Buy. But the article was written before a 6th reason emerged — significant insider buying: Two key ET executives made big purchases on Nov. 12 & 13: Director Ray C. Davis, a founding member of Energy Transfer, and a billionaire co-owner of the Texas Rangers, purchased 316,000 shares at $15.80. Also, Kelcy Warren, the other billionaire co-founder of ET and current CEO, bought 2,000,000 shares at $15.55. I’ll do the math: That’s over $36 million of stock bought on the open market. Granted, that might not be an earth-shaking amount for billionaires, however it’s Kelcy’s first open market buy since December of 2015, and it’s Davis’ first buy since Dec. of 2010. ET closed at $15.00, up $0.20 on Monday. Trupanion Inc. (TRUP). Insider buying and insider seller are not equally predictive. Buying insiders tend to suggest higher share prices for a stock; while selling insiders typically are not acting on bearish information. You’ve no doubt heard it before: While there are many reasons for an insider to sell a stock – cashing in options, kids need braces, buying a house in Aspen, etc., there is only one reason to buy: The insider thinks the shares are a good value and he or she will eventually make a profit. Sometimes though, insider buying and selling overlap at a company. 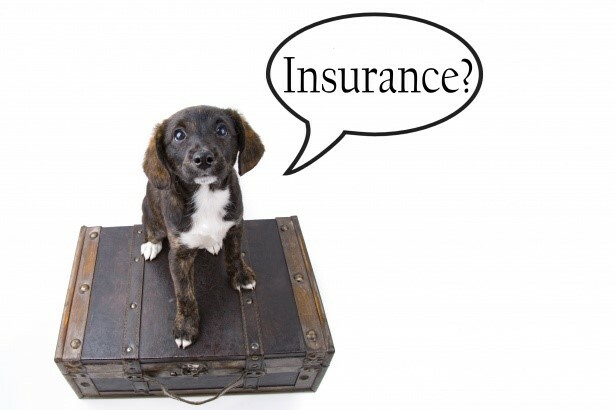 Investors mistakenly tend to view such insider sentiment as a wash. That may be the case with pet insurance company Trupanion. Recent Trupanion Inc. insider activity. While the eye gravitates to the red sales transactions, I view the insider sales as mostly noise. What captures my attention is the $486K buy by Robin Ferracone. It was Ferracone’s first trade since well-timed buys in 2013-2017, and holdings were increased by 52%. TRUP shares have been under pressure recently after reports that the Washington State Insurance Commission was investigating the company for allowing veterinarians to sell insurance. In a press release on Oct. 22, the company replied, saying: “We do not believe veterinarians or Trupanion Territory Partners [sales force] need to be licensed, as they are not being asked to sell or solicit Trupanion insurance policies…we are not aware of any regulatory matters that we think will have a material impact on our current or future business.” In September Barron’s published an article critical of what it viewed TRUP’s rich valuation. TRUP closed at $26.22, up 1.04%, bucking Monday’s downtrend.